We are pleased that you are interested in studying at Alanus University in Alfter. On this page, you will find all important information regarding requirements, deadlines, visa, insurance, funding and scholarships. Please note that the Student Administration Office is available for personal guidance and advice. The requirements and procedures differ depending upon the degree programme. More information is available on the pages of the individual degree programmes. Please note that you must have sufficient German language skills, both spoken and written. At the link, you will find an overview of the required language skills. Degree-seeking international students are requested to find out about requirements and application procedures exclusively through the Student Administration Office and General Student Advisory Service. Please contact the person at this office who is responsible for the degree programme you are interested in. You can also use the contact button on the right to send a message. Citizens of Schengen countries do not require a visa to enter Germany. These include Austria, Belgium, Bulgaria, Croatia, Cyprus, Czech Republic, Denmark, Estonia, Finland, France, Greece, Hungary, Iceland, Ireland, Italy, Latvia, Lithuania, Liechtenstein, Luxembourg, Malta, Netherlands, Norway, Poland, Portugal, Romania, Slovakia, Slovenia, Spain, Sweden, Switzerland, and the United Kingdom. If you do not live in a country within the Schengen area, please enquire about entry requirements at a German embassy in your home country. You will find an overview of all German missions abroad on the website of the Federal Foreign Office. Health insurance is compulsory in Germany. This means that you must take out a policy with a health insurance provider immediately upon arrival in Germany. There are two types of insurance. Contributions to the statutory health insurance fund average between 70 and 80 euros per month. Here is a list of statutory health insurance providers. Students with a European Health Insurance Card (EHIC) do not require any additional insurance. All you have to do is send a scan of the card to a German health insurance provider and have the exemption from compulsory insurance confirmed. Students from countries that have a social security agreement with Germany (e.g. Switzerland, Turkey) must inform their home insurance company about their stay abroad and inquire whether the insurance cover also applies in Germany. Afterwards, a form must be sent to a German health insurance provider. A private health insurance policy can only be taken out under certain conditions. Both the insurance cover and the amount of the premiums to be paid are determined individually. Here is a list of private health insurance providers. Please note that it is only possible to change to statutory health insurance within the first 3 months. After that, the policy is binding. Student rates are only valid to a maximum age of 30 years. More information on health insurance for foreign students can be found on the website of the German Student Union and on the website of the DAAD. The DAAD’s STIBET III Matching Funds Scholarship is funded by the Alanus Foundation and the Federal Foreign Office. It is aimed at students of foreign nationality who have obtained their higher education entrance qualification abroad. Graduation Scholarships: For students who are in their final semester. Scholarships for students who show a high level of commitment in their academic field (average mark at least 2.5). If you are not given marks for your academic achievements, a detailed report from your professor is required. 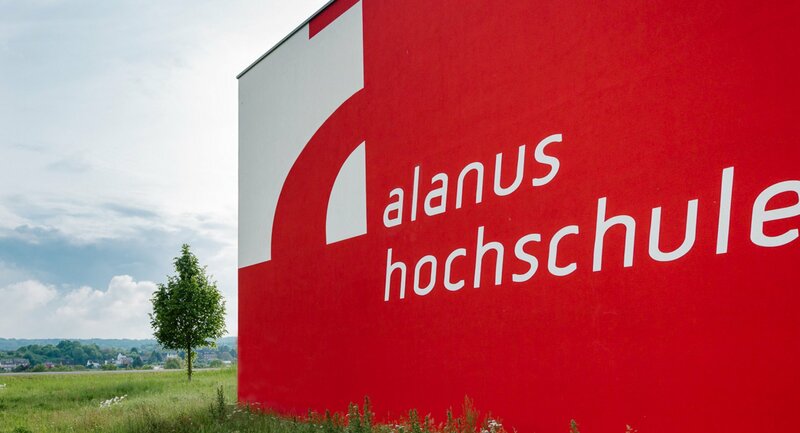 Bachelor students can only receive a scholarship if they have completed at least 2 semesters at Alanus University. Master and doctoral students are already eligible for funding in their second semester at Alanus University. The maximum funding period is 6 months. An extension up to 12 months is only possible in exceptional cases. In the case of graduation scholarships, funding ends at the latest in the month of the final exam or upon submission of the final thesis. The scholarship recipients are chosen by an annually appointed selection committee. First-time applications are given preference by the selection committee when all other standards are equal. The DAAD Prize for Outstanding Achievements of Foreign Students Studying at German Universities amounting to 1,000 euros is conferred annually at the German Scholarship Award Ceremony. The prize honours outstanding achievements and special involvement in cultural policy on the part of foreign students. Each department can nominate one person from the student body for the prize. The prizewinner is chosen by a selection committee made up of professors. List of previous award winners. The Integra Programme at Alanus University aims to support the integration of refugees into degree courses. Lectures, seminars, workshops and excursions prepare students for their studies, expand their social contacts and introduce them to German culture. Exact measures are agreed upon individually with the respective departments. The programme is open to refugees who are interested in studying, have a higher education entrance qualification (HZB) in Germany or in their home country, and are already living in Germany on a residence visa or temporary suspension of deportation status (Duldung) at the time of enrolment. The Integra Programme is funded by the Federal Ministry for Education and Research (BMBF).